In 2 years time this one will be under warranty though if it goes bust, a DSG company will just laugh! It's also only 850 watts, this is 1200. Well said. Hot from me. Devices like these (with warming plates) tend to, well... never fail. I really should double- check I am in the right universe before I come on this site! are they easy to make, does it have a recipe book? Hot in theory as waffles are expensive in the supermarket! never been able to make some proper crispy waffles with my waffle maker, how do you lot do it!? never been able to make some proper crispy waffles with my waffle maker, … never been able to make some proper crispy waffles with my waffle maker, how do you lot do it!? Mine are very thin but soggy. This recipe is excellent, you don't need all the oil though, just make sure the plates are oiled. Can you make waffle cones in these, or just waffles? 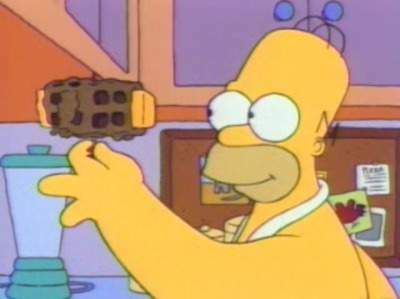 Am I the only one picturing myself as Homer with drool running down one side slurrring the word wafffles?? if i was single / didnt cohabit...... mmmmmm......drool,. I have one, it's another gadget confined to the cupboard of the unused. I bought Lidls version of this 3 years ago and it is still going strong. having said that it is really only bought out for Christmas and Birthday breakfasts. The tomato waffles are lush though.